I’m not crying…I’m not crying. I am going to my very best to not spoil anything from this brilliant, epic movie. I went into Logan with sky high expectations and no foreknowledge of what was going to happen. I had seen the trailers (which were brilliant, in particular the piece of ART that the Johnny Cash “Hurt” trailer was) but I did not know what would happen. I had some suspicions, but nothing had been confirmed. And you should do anything you can to avoid spoilers. Logan is worth it. This film exceeded every expectation I had and then some. It is the best film I have seen so far in 2017 and I might even go as far as to say it is the best X-Men movie ever. It is certainly the Wolverine movie that we have always wanted. That’s to say that it is violent, bloody, full of curse words and full of emotion and heart and moments that proves the joys of being alive. It is an exceptionally human story about a few mutants facing challenges of a world that still is not sure how to handle them. And so much amazing action. 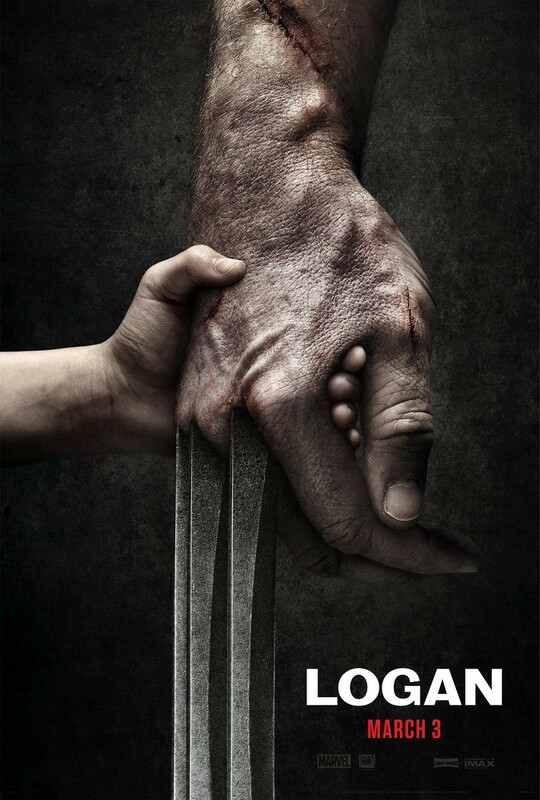 You know from the trailers that Logan (Hugh Jackman) and Charles Xavier (Patrick Stewart) meet up with a young girl named Laura (Dafne Keen) and they go on the run to avoid a group of mercenaries named the Reavers, led by Donald Pierce (Boyd Holbrook). And that is all you need to know about the plot. Logan takes the comic book movie genre and turns it on its head. Honestly, this is more of a western than a comic book movie. I cannot come up with enough superlatives to express my opinions on Hugh Jackman’s performance as Logan. If this is truly his final appearance as Logan, then he absolutely could not have gone out with a better film. He was utterly brilliant throughout this entire film. I would venture to say that this is Hugh Jackman’s greatest performance, not just as Logan, but in his entire career. The pain and humanity and loss shown by Jackman in every scene was balanced only by the people who Logan clearly cared for. The relationships of this movie were perfectly done. Logan and Charles. Logan and Caliban (Stephen Merchant). Logan and Laura. Laura and Charles. Every one of these relationships were special, bringing life to each character. We see our old favorites in completely different light and the new characters were wonderful as well. Young Dafne Keen does such an amazing job in this movie, with the few lines of dialogue that she has, in revealing the thoughts and feelings of X-23. The expressions of this girl told as much as any line of dialogue and she delivered an excellent performance here. You probably just seen the “I See Child Actor” Award winner for the year end awards with Keen. If there is a better performance this year then its is going to have to be one hell of a performance. Patrick Stewart has never given a better performance either. Stewart has announced that he is retiring from the role of Professor Charles Xavier and I can understand why. There is no way that he will ever get a juicier script for this character than the Logan script. Despite the age, the pain and the tribulations of Charles Xavier, he brought the wisdom and the emotion to this character, providing the initial connective tissue between Laura and Logan. And Stephen Merchant’s Caliban was great as well. I keep using the word emotion, and that is one of the major keys to this amazing movie. You feel for these people and you care about the pain that they are clearly suffering. There are such stakes in this film, more so than many comic book movies. As I mentioned before, Logan is a violent and brutal movie that deserves its R rating. However, despite all the blood and the numerous F-bombs that are dropped, none of that felt shoehorned in. The film felt as if it deserved every drop of blood and every curse word. They earned those with the story. The movie creators did not say, “Okay, so it is rated R so lets throw a swear word in here.” Every curse word fit the story that was being told. There was purpose to everything that was done. James Mangold directed Logan which is his second film involving this character (The Wolverine being the first). He delivered a beautiful tone and feel for this movie. I worried that the first trailer (the Johnny Cash “Hurt” one) was giving us a tone that I really wanted, but they would suddenly bring us garbage like Deadpool with his mouth sewn shut. That did not happen. The tone of this movie fit perfectly with that first trailer. This is also a wonderful example how a super hero movie can be dark and moody without sacrificing the humor and the fun. Logan had several moments of true laughter in it, despite the drastic circumstances that the characters found themselves in. These moments of humor were just one more layer of humanity brought by this brilliant film. Plus, there is no post-credit scene, but there is a pre-movie scene. Yes, you heard me. There is a scene, an absolutely unbelievable scene, before the Logan movie begins. It was epic. You 100% do not want to be late arriving for Logan because there is a major treat for the audience before Logan starts. Logan feels like a small, independent movie and it has so many emotions behind it that I can hardly believe how great this film was. I loved it so much. I cannot wait to see it again.